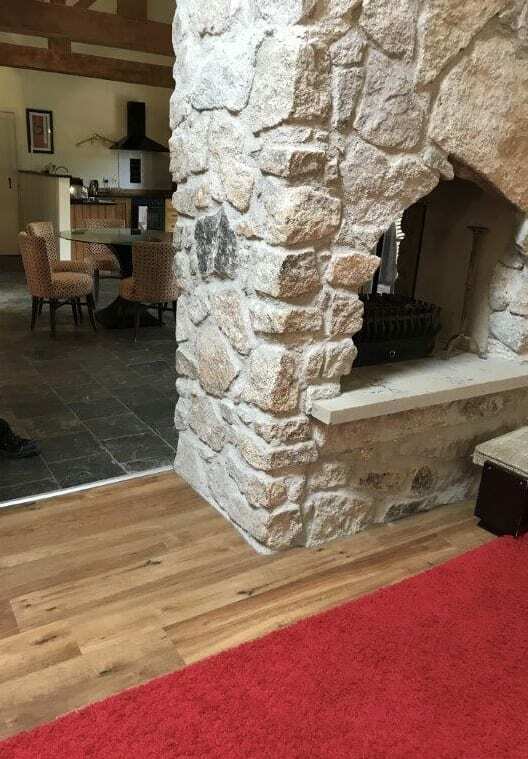 We received an enquiry via our website, regarding flooring requirements for the holiday lodges within the Bovey Castle estate. 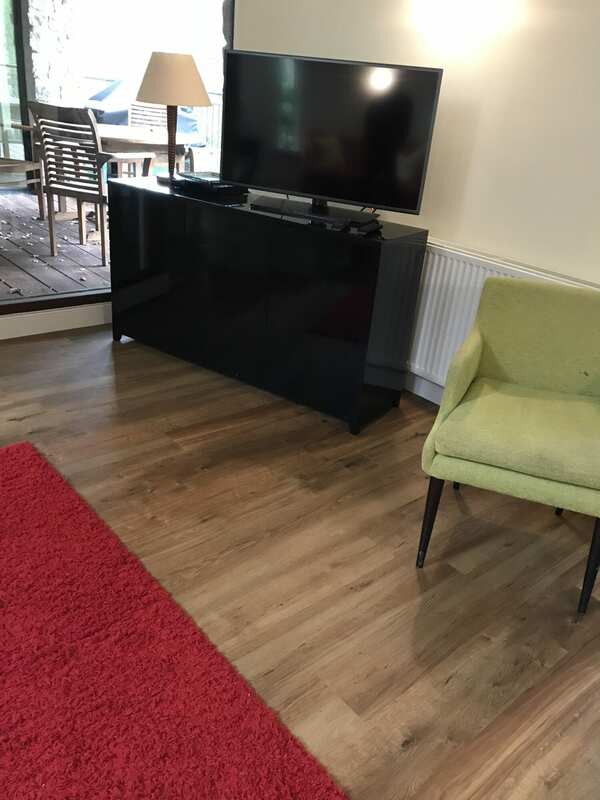 Following on from this a site visit was arranged, enabling us to meet the client in person for a more detailed informal discussion, and where we could also measure the areas and visualise the project and what it would entail. 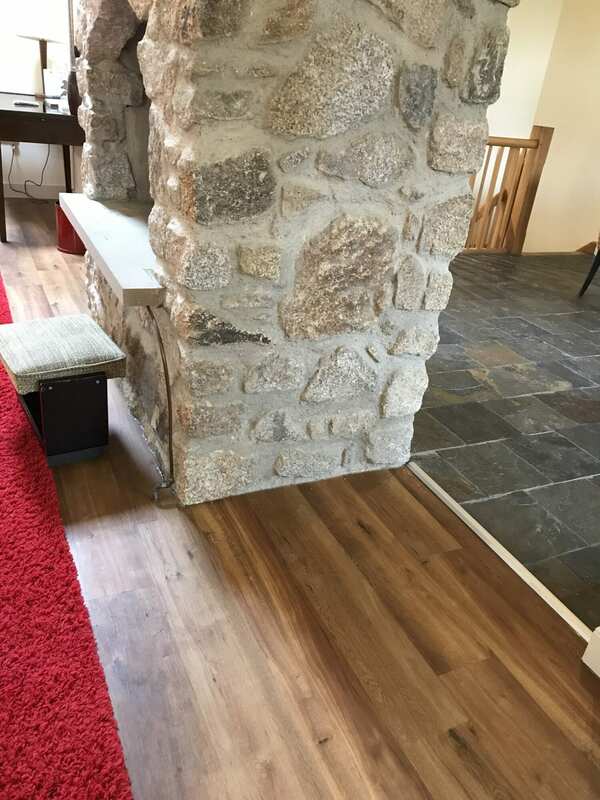 The three-storey lodge required new flooring in the lounge, bathroom and utility room and an LVT (Luxury Vinyl Tile/plank) was already the type of product the client had in mind, in a wood effect. With over 40 years of experience we immediately suggested Karndean. It is extremely hard wearing, water resistant, hygenic, warm underfoot and also inspired by nature, in keeping with the environment and beautiful Castle grounds. Due to the large size of the planks and the authentic engineered wood effect we introduced the Karndean Van Gogh range. The subtle, rustic texture and versatile range offers a product to suit all – from contemporary to traditional. Options were considered and we arranged for samples to be sent direct to the client for consideration.